The professioanl team at Bogart Landscape Contracting will expertly design and install your new landscape for your home or income property. Our team of seasoned veteran lawn maintenance specialists will mow, trim and clean your property, leaving nothing but a beautifully cut lawn. Designing a low maintenance yet highly visually appealing landscape to accentuate your business is a speciality of Bogart Landscape Contracting! the equipment and manpower to get it done, and done right! 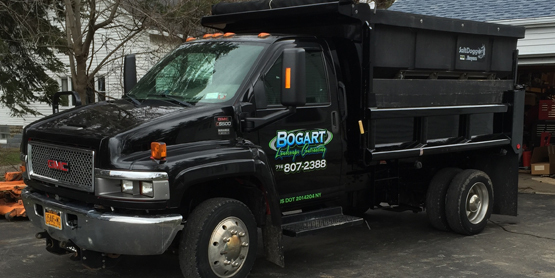 Bogart Landscape Contracting, LLC is a locally owned and operated, multi-dimensional landscape construction company built upon trust, excellent service and attention to detail. Join the Bogart Landscape Contracting family today, and trust the landscape of your home or office with our seasoned professional landscaping team. Professional, uniformed and fully insured, our highly skilled team is prepared to deliver work that will make neighbors jealous! The budget is the budget, and our goal is to finish each and every job within budget and deliver to the customer a complete job. We use the latest design software and use constantly refreshed or brand new lawn, landscape and snow removal equipment whenever possible. We offer a broad range of Residential and Commercial services for our Western New York client base for Landscaping, Lawn Care and Snow Removal! Our team will design and install your new landscape using the latest software. Our lawn mowing, trim and maintenance lawn are on the road daily. We will create a long lasting and beautiful backyard design! Our plowing crews will keep your driveway or lot clear of snow. Quickly get your lawn back with quality sod or a professional hydroseeding. Our experienced landscaping team will turn a design into reality. Our goal is to treat every job like our best one, and to give our customers a reason to not only continue using our services, but tell neighbors, friends and relatives to contact us as well. Would you like a FREE Estimate from Bogart Landscape Contracting? It all starts with just a few clicks!